Copyright: © 2016 Zafar MZ. This is an open-access article distributed under the terms of the Creative Commons Attribution License, which permits unrestricted use, distribution, and reproduction in any medium, provided the original author and source are credited. Pneumonia (from the Greek pneuma, “breath”) is a potentially fatal infection and inflammation of the lower respiratory tract (i.e., bronchioles and alveoli) usually caused by inhaled bacteria and viruses has both properties (Streptococcus pneumoniae, aka pneumococcus). The illness is frequently characterized by high fever, shortness of breath, rapid breathing, sharp chest pain, and a productive cough with thick phlegm. Pneumonia that develops outside the hospital setting is commonly referred to as community-acquired pneumonia. Pneumonia that develops 48 hours or later after admission to the hospital is known as nosocomial or hospital acquired pneumonia. In this case report we review the presentation and management of pneumonia involving the respiratory system. The aim of this report is to alert the clinicians to the potential diagnosis of pneumonia treatment. This is the case report of 3 months old boy with Pneumonia. He was diagnosed with pneumonia. His treatment was starting and after 7 days, he became completely recovered. For his disease diagnosis different tests are also performed. Community-acquired pneumonia (CAP) is a common and potentially serious illness that is associated with morbidity and mortality. Only half of the cases had an etiology microorganism identified. Dozens of types of bacteria can cause pneumonia. Bacterial pneumonia is caused by an infection of the lungs and may present as a primary disease or as secondary disease in a debilitated individual or following a viral upper respiratory infection, such as influenza or the common cold. Community-acquired pneumonia tends to be caused by different microorganisms than those infections acquired in the hospital. Pneumonia caused by Streptococcus pneumonia remains the most common cause of all bacterial pneumonias. High-risk groups include older adults and people with a chronic illness or compromised immune system. This type of pneumonia is a common complication of chronic cardiopulmonary disease (e.g., heart failure) or an upper respiratory tract infection . The knowledge of etiology of pneumonia in low and middle income countries is based on two types of studies: prospective, microbiologybased studies and vaccine trial studies, where indirect evidence of vaccine efficacy for the prevention of pneumonia can be used to estimate the disease burden of each pathogen. Prospective studies have identified Streptococcus pneumonia as the leading cause of bacterial pneumonia among children in developing countries, responsible for 30-50% of pneumonia cases. The second most common is Haemophilus influenza type b followed by Staphylococcus aureus and i Other bacteria are Mycoplasma pneumonia and i , causing atypical pneumonia non-typable H. influenza (NTHI) and non-typhoid Salmonella spp. Furthermore, studies of lung aspirate have identified Mycobacterium tuberculosis as an important cause of pneumonia. A 3 months old boy was brought to the DHQ hospital Gujranwala, Pakistan. He presenting complains are cough, fever, dyspnea, vomiting and diarrhea from the period of last 5 days. He ate contaminated food and drinks few days ago so, that is the main cause of this. Before to come here they also went in Ahsan hospital Daska, Pakistan, but he did not understand a disease, he gave him Amoxicilline 125 mg/5 ml and Dimenhydrinate 12.5 mg/4 ml syrups. After 3 days of treatment, they came into DHQ hospital Gujranwala. Other chief complaints by the patient include problem in breathing may be due to cold feeling. His physical examination showed temperature 102°F. Respiratory rate is 28 beats/min, hear crept on auscultation, he weighed 5 kg. His caused of fever may be some cold exposure. He was treated with Cefixime 100 mg/5 ml, Ibuprofen 100 mg/5 ml, pseudoephedrine 15 mg/5 ml and Dimenhydrinate 12.5 mg/5 ml in DHQ hospital. Doctor advised him for laboratory tests and admitted him in a Hospital. CBC (Complete blood count), CXR (Chest X-Ray), Electrolyte count tests are performed. CBC showed that his TLC Total leukocytes count) and lymphocytes concentrations had increased, neutrophils decreased. His neutrophils concentration now 22% whose normal value is 45 to 75% and lymphocytes concentration increased whose normal value is 20 to 45% (Table 1). Table 1: Complete blood count test. On electrolyte counting test showed that calcium concentration decreased which is 7.8 now its normal value is 8.5 to 10.5 (Table 2). Table 2: Electrolyte counting test. On Chest X-Ray detected a white patch on left side upper lobe, which indicated that pneumonia is confirmed. So when the pneumonia is confirmed then Doctor started his actual treatment (Figure 1). His treatment include injection Cefotaxime 250 mg intravenous B.D, injection Ampicillin 125 mg intravenous after 6 hours, given Nebolization with ventoline, and Oxygen now SOS, and a Panadol drops, 10 drops. His vitals were checked. The patient recovered slowly and after 2 days treatment Doctor again checked him and gave him another treatment claritex drops 1/2 drops and Calcium 2/2. At the third day of his admission in hospital Doctor checked him, his physical examination showed now that temperature reached at 100°F, diarrhea and vomiting are also decreased. Doctor advised his mother to continue this medication, care and feed properly. At the fifth day continuously five days treatment child become completely recovered and doctor discharged them at 5/10/2014. Community-acquired pneumonia (CAP) is a frequent cause of hospital admission and mortality in elderly patients worldwide. The clinical presentation, etiology, and outcome of community acquired pneumonia in elderly differs from that of other population [2,3]. This patient had community-acquired bacterial pneumonia on the basis of his physical examination and chest radiograph. The most common cause of community-acquired bacterial pneumonia is Streptococcus pneumoniae . The finding of gram-positive diplococci in the blood is consistent with pneumococcal disease as well. Approximately 25 to 30% of patients with pneumococcal pneumonia will have positive blood cultures. Group A streptococcus is another possible organism because it can cause bacteremic pneumonia and can possibly appear as a gram-positive diplococcus. However, in a blood culture, group A streptococci are much more likely to be present as gram-positive cocci in chains. The two streptococci are easily distinguished by the fact that S. pneumoniae is alpha-hemolytic and bile soluble whereas group A streptococcus is beta-hemolytic and bile insoluble but bacitracin susceptible. Determination of precise etiology of pneumonia is difficult due to the lack of sensitive and specific tests. Many clinicians treat pneumonia empirically with minimal laboratory or radiographic evaluation and thus up to 80% of non-bacterial pneumonia may be treated with antibiotics. This approach is satisfactory when clinical risk is deemed to be low . Community-acquired pneumonia in elderly patients is a common and serious problem encountered in clinical practice. Elderly patients with community-acquired pneumonia have different clinical presentation and higher mortality. From this case study we conclude that main causes for pneumonia and what are these treatments. As we read that here patient is not cured after its first treatment because disease was not identied our main purpose is to first diagnose a disease and then to start rational treatment. I take this opportunity to express my profound gratitude and deep regards to Dr. Taha Nazir (Assistant Professor and Course Director Microbiology & Immunology, Faculty of Pharmacy, University of Sargodha)for his exemplary guidance, monitoring and constant encouragement throughout the course of this case report. Also thanks to the staff at the Pediatrics department at the DHQ hospital Gujranwala. Increase caretakers' recognition of pneumonia signs through extensive health communication activities by strengthening the third component of IMCI (improving family and community practices). Antibiotics improve outcomes in those with bacterial pneumonia. Antibiotic choice depends initially on the characteristics of the person affected, such as age, underlying health, and the location the infection was acquired. Preventive measures are under observations i.e., avoid contaminated food, drinks purified water etc. Schumann L (2006) Pneumonia. In: Copstead LEC, Banasik JL (eds.). Pathophysiology(3rd edn) St WHO. World Health Organization (2002) Promoting rational use of medicines: core components: WHO policy perspectives of medicines. No.5. Geneva: WHO. World Health Organization (2009) Medicines use in primary care in developing and transitional countries: Fact book summarizing results from studies reported between 1990 and 2006. Document No. WHO/EMP/MAR/2009.3. Geneva: WHO. Levinson W (2012) LANGE: Review Of Medical Microbiology and Immunology (12th edN) (Part IX brief summaries of medical important organisms). 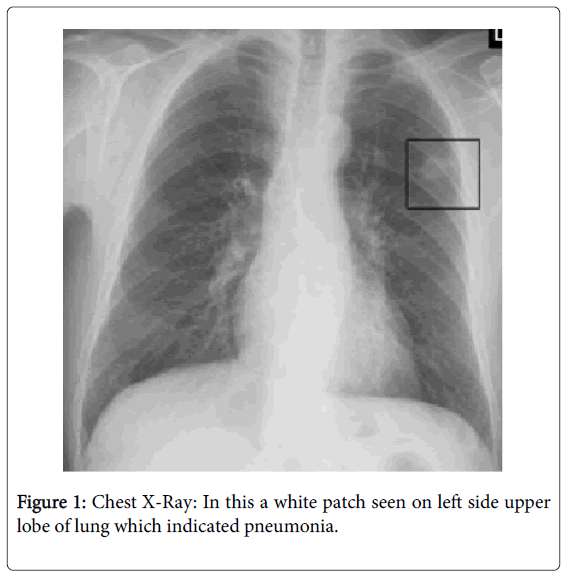 Figure 1: Chest X-Ray: In this a white patch seen on left side upper lobe of lung which indicated pneumonia. Streptococcus pneumoniae has been a rare cause of endocarditis in the postantibiotic era. The emergence of antibiotic-resistant Pneumococcus species has been accompanied by isolated reports of penicillin-resistant S. pneumoniae (PRSP) endocarditis. We report a case of bivalvular PRSP endocarditis that was treated with vancomycin and trovafloxacin, and we review the literature on this topic. Since the advent of penicillin, the rate of incidence of Streptococcus pneumoniae endocarditis has decreased from ∼10% to <1% of all cases of infective endocarditis . S. pneumoniae endocarditis predominantly has been seen in patients with chronic alcoholism, which has been identified as a risk factor in 28%–37% of cases . The mortality rate among patients who receive medical therapy alone ranges from 63% to 80%, compared with a mortality rate of 32% among patients who receive medical-surgical therapy . The increasing incidence of penicillin resistance among S. pneumoniae isolates has confounded the medical management of S. pneumoniae endocarditis. This is the first case of bivalvular penicillin-resistant S. pneumoniae (PRSP) endocarditis reported in the English medical literature. Case report. A 57-year-old white woman with a history of cholangiocarcinoma of the distal common bile duct was seen as an outpatient. She had symptoms of nausea, vomiting, chills, and right upper quadrant pain, all of 2 weeks' duration. Findings on physical examination were unremarkable, and specimens were obtained for blood culture. Cultures of blood samples yielded 4 of 4 blood culture bottles of S. pneumoniae, and the patient was admitted to our institution. The patient was febrile (temperature, 39.8°C), and she had a blood pressure of 130/40 mm Hg and a pulse rate of 140 beats/min with a grade 2/6 soft diastolic murmur at the third left intercostal space radiating into the apex. The patient was alert at the time of admission; however, within 2 h, she had progressive obtundation. Findings of noncontrast CT of the head were unremarkable, and the patient was transferred to the intensive care unit. A lumbar puncture revealed a WBC count of 702 cells/µL (80% neutrophils), a glucose level of 44 mg/dL, and a protein level of 215 mg/dL, but Gram stain and culture yielded no organisms. Successive blood cultures done at the time of admission yielded 4 of 4 blood culture bottles of S. pneumoniae that was highly resistant to penicillin (MIC, 4 µg/mL; Kirby-Bauer disk diffusion assay [Kirby-Bauer]) and was intermediately resistant to cefotaxime (MIC, 1 µg/mL). The patient began receiving high-dose iv cefotaxime (2 g given every 4 h) and iv vancomycin (1 g given every 12 h); her clinical status rapidly improved, and she had clearance of the bacteremia. A chest radiograph showed no evidence of an infiltrate. The patient's initial evaluation included a CT scan of the abdomen, which demonstrated multiple hepatic abscesses. These abscesses were percutaneously drained, and they revealed multiple gram-negative rods and anaerobes. Intravenous trovafloxacin (300 mg given every 24 h), to which the S. pneumoniae was susceptible (MIC, 0.5 µg/mL), was added to her therapy. On the third day of hospitalization, the patient complained of painless loss of vision in the right eye. A complete ophthalmologic examination revealed a hypopyon in the anterior chamber without any retinal lesions, a finding that is most consistent with a diagnosis of hematogenous endophthalmitis. Transesophageal echocardiography done on the sixth day of hospitalization revealed severe aortic and moderate tricuspid regurgitation, a 0.75-cm × 0.5-cm tricuspid vegetation, and a small echogenicity on the aortic valve with perforation of the noncoronary valve (figure 1). The patient was given a diagnosis of S. pneumoniae endocarditis. The patient's hospitalization was complicated by severe pulmonary and lower extremity edema secondary to progressive congestive heart failure that required aggressive diuresis and afterload reduction. The patient was not deemed to be a surgical candidate. Surveillance blood cultures remained sterile, and cefotaxime was discontinued after 21 days. The patient was discharged to complete a total of 6 weeks of treatment with iv vancomycin and oral trovafloxacin at home. The patient died 4 weeks after discharge from the hospital. Discussion. Although endocarditis due to PRSP is a rare occurrence, it often results in native valve destruction, distal embolization, and eventual heart failure due to valvular dysfunction; treatment with medical therapy alone results in poor outcomes. The recent increased incidence of infections due to PRSP adds a new layer of complexity to determination of the optimal therapy for pneumococcal endocarditis. Our patient with bivalvular endocarditis due to PRSP illustrates this very point. At present, ∼25% of S. pneumoniae strains in the United States show intermediate (MIC, 0.1–1.0 µg/mL) or high-level (MIC, >2.0 µg/mL [4, 5]) resistance to penicillin . Bacterial surveillance done at our institution from November 1998 through April 1999 identified 23 (54%) of 42 S. pneumoniae isolates that were resistant to penicillin. Four cases of PRSP endocarditis have been reported in the English literature (table 1) [7–10]. In our review of the literature, 3 of the 5 cases had aortic valve involvement, and the remainder had mitral involvement. All cases were treated with either a third-generation cephalosporin-based regimen or a vancomycin-based regimen, with better-than-expected outcomes occurring in the absence of surgical intervention. Demographic characteristics, penicillin resistance, and treatment of reported cases of Streptococcus pneumoniae endocarditis. Cefotaxime or ceftriaxone is the current recommendation for the antibiotic treatment of PRSP, with vancomycin added for cephalosporin-resistant strains ; however, there have been reports that immunocompromised patients respond less favorably to β-lactam therapy . The newer fluoroquinolones (levofloxacin, trovafloxacin, and moxifloxacin) have been shown to be effective against PRSP infections . Recent animal studies have also shown that trovafloxacin is effective in experimental rat models of PRSP endocarditis . These results suggest that the newer fluoroquinolones may serve as an alternative therapy for the treatment of PRSP endocarditis. In the present study, we chose vancomycin and trovafloxacin for treatment of both the endocarditis and the patient's multiple hepatic abscesses. The case presented here occurred prior to the withdrawal of trovafloxacin from the antibiotic market because of its associated hepatotoxicity. Although the fluoroquinolones seem to be effective against PRSP infections, recent studies have shown evidence of increasing resistance of S. pneumoniae to this class of antibiotics, especially among penicillin-resistant strains [15, 16]. In addition, recent studies have reported cases of vancomycin-tolerant pneumococcal strains, although vancomycin is an antibiotic that had not previously been shown to have any pneumococcal resistance [17, 18]. In this era of increasing prevalence of PRSP infections, we anticipate that there will be more cases of PRSP endocarditis. On the basis of our experience and our review of the literature, a regimen that includes either a third-generation cephalosporin or vancomycin should be used as first-line therapy, depending on the susceptibility of the isolate. Further clinical data are needed before we recommend routine use of a fluoroquinolone for these infections. Historical data would support surgical intervention for the treatment of these cases. , , , et al.